It wouldn't be summer without trying a new lemon dessert. 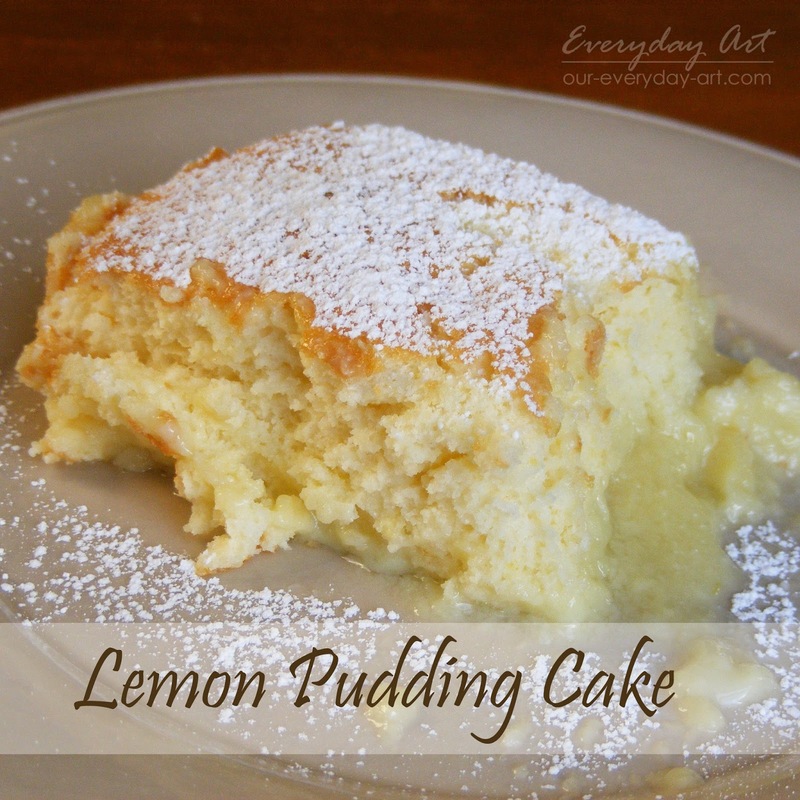 This time a tried a lemon pudding cake. Just to clarify, this is NOT a box lemon cake with a package of pudding thrown in. This is a light, tart, spongy, cake that makes its own lemon pudding on the bottom as it bakes. Of course you do. Lucky for you, it's easy! In a large bowl, combine sugar, salt and melted butter. Beat in the flour. Stir in the lemon zest and lemon juice. 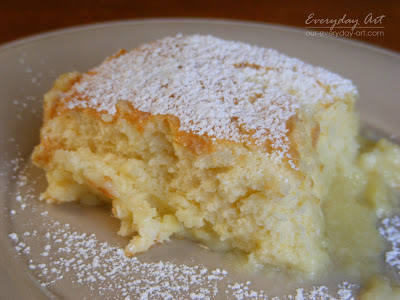 Combine milk and egg yolks, and add to lemon mixture. In a large glass or metal mixing bowl, beat egg whites until stiff peaks form. Fold 1/3 of the whites into the batter, then quickly fold in remaining whites until no streaks remain. Pour batter into prepared pan. Set cake pan in a water bath. Bake in the preheated oven for 40 minutes, or until top is lightly browned. Dust top with powdered sugar and serve warm or cold. recipe adapted from "Lemon Pudding Cake II"
Ooh, this sounds awesome. I love lemon! Thanks for sharing at I Made It! Monday. Can't wait to see what you link up this week.